Starting or expanding your family may be an important component of your 100 Year Lifestyle. Fertility challenges can be discouraging and frustrating. To increase your chances for an easy conception and pregnancy, keep your spine and nervous system healthy with Lifestyle Care and try some of these healthy tips! AVOID – MicroNutrient deficiencies which can result from stress, smoking, toxins, poor diet, and prescription medications including certain contraceptives. TRY – A good whole food multivitamin and probiotic, during and after birth control use, to prevent nutritional deficiency and restore already depleted levels. AVOID – Having an abnormal body mass index. Being underweight or overweight can affect fertility in both males and females. In a person who is underweight, the body naturally panics and shuts down many important bodily processes and literally turns down reproduction. With obesity, adiponectin (a protein released by fat cells that assists in burning up fat) decreases. Adiponectin would normally help to make the body more sensitive to insulin (which enhances ovulation). Without sufficient adiponectin, the body becomes resistant to insulin and fertility is compromised. TRY – Normalizing weight before trying to conceive. Good nutrition helps to create a “clean slate” within the body that helps it to respond and utilize other natural remedies better. Try “cleaning and greening” your life before trying to conceive. Be sure that you are eating adequate amounts of foods such as dark leafy greens, sesame seeds, seaweed, almonds, quinoa, chia, and bone broth to maintain proper hormone production. AVOID – Oxidative stress. This is heavily linked with many chronic diseases and fertility challenges. When we are exposed to environmental stress such as pollution, radiation, toxins in the home and work place, caffeine, smoking and drugs, the body accumulates oxidative stress. 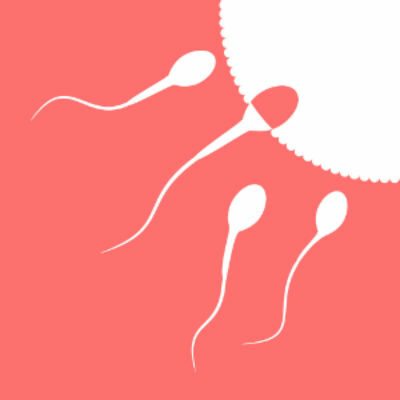 This may result in significant damage to cell structures, sperm cell development and ovary function, decreasing chances of fertilization and increasing the chance of miscarriage. Hundreds of synthetic chemicals found in our environment are now identified as hormone disruptors for ovulation, fertilization and implantation of the embryo. TRY – Natural products for household cleaning, body care, pest and weed control and building materials. AVOID – Spinal subluxations which occur when there are misalignments of the spine or pelvis. This results in altered joint motion and nerve irritation which can lessen organ function and general health. Both the severity of the subluxation and the length of time it has been left uncorrected dictate the impact on fertility. TRY – Living “free and clear” so proper nerve messages that initiate and sustain reproduction can do their job. Don’t wait for a crisis to get started under chiropractic care. Make the critical transition to Lifestyle Care to optimize the function of your nervous system, which can contribute to the likelihood of conceiving. Whether you are planning to conceive or not quite yet, these tips will help you live healthier and prepare you for parenting. Visit our YouTube Channel to watch more great videos from Ambient Chiropractic and Wellness. And if you’re interested in learning more about the 100 Year Lifestyle, visit the 100 Year Lifestyle channel on YouTube.